Experience a new dimension of fun and magic with The Magic Green Photo Booth's 3D Photos. We capture the smiles and imagination of your guests with our eye-popping, attention-grabbing 3D images. With a variety of unique 3-dimensional sets, our dynamic 3D photos are the ultimate souvenir for guests to remember your event. We also offer hundreds of fun standard 2D scenes to choose from. 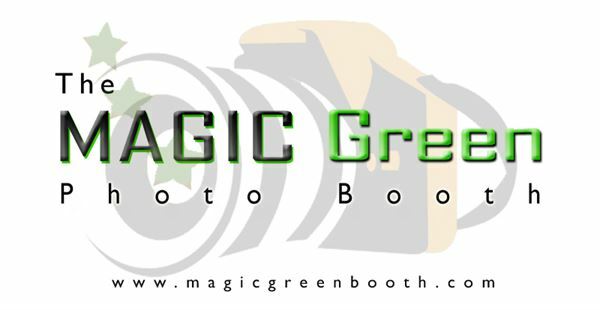 Visit magicgreenbooth.com to view simulations of our 3D photos and examples of 2D scenes. Each MGPB package includes: - Your choice of small, medium, or large green screen backdrop to fit your venue - Choose from a large selection of Premium 3D scenes, Standard 2D scenes, or have your own design custom-made - professional photography and design equipment complete with on-set customer preview monitor so you know you're good to go before each snap - on-site printing of 4x6s or 5x7s including frames for each photo - photographer and assistant - minimum 3 hours booth time (add'l time added upon request) The Magic Green Photo Booth offers five (5) package options that can be tailored to fit your needs and budget. Give us a call. We are happy to help.